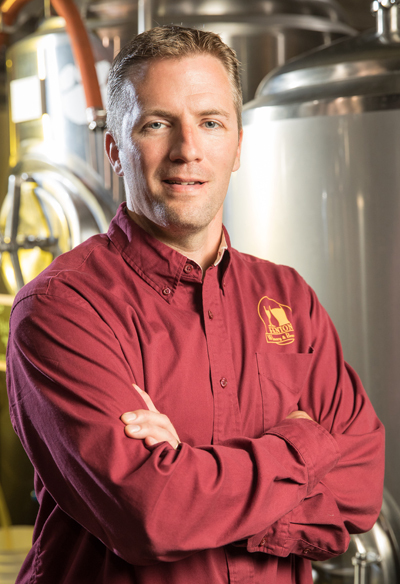 While the 43-year-old’s career has swung from engineering to entrepreneurship, the owner of the nearly 10-year-old Fenton Winery & Brewery is still doing what he loves to do, plus he is contributing to the area’s economic growth. Sherrow is just one of the thousands of people who have been impacted by their association with the Flint area’s colleges and universities and who, in turn, are making an impact on the local economy through their jobs or businesses, skills and connections. And it doesn’t just happen here. National studies have documented the influence that colleges and universities have on the economic development and prosperity of their communities, regions and states, primarily through their roles in research and innovation, skills training, business consulting, construction, housing rehabilitation and helping launch new businesses. All of that leads to more students gaining marketable skills, leading to more businesses, more economic growth. In Genesee County, the situation is unique in that it has four large colleges and universities fueling the economic impact: Kettering University, University of Michigan-Flint, Mott Community College and Baker College of Flint. And they do it by meeting the needs of a broad spectrum of students. 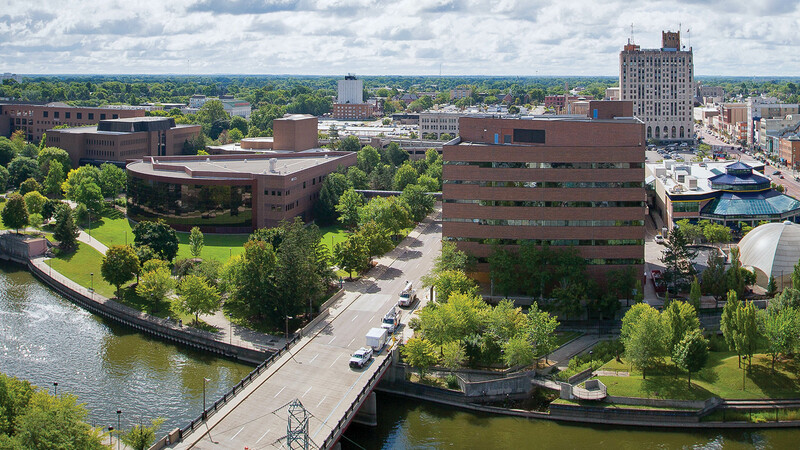 Several other well-known Michigan-based universities also have established satellite campuses in the area, including Central Michigan University; Ferris State University; Northwood University; Spring Arbor University; and Michigan State University’s College of Human Medicine, which anchors the Health & Wellness District in downtown Flint. In all, the higher-education sector in Flint & Genesee serves more than 30,000 college students from all over the world. To have these institutions “with such different scopes is a really powerful thing,” said Kettering President Dr. Robert McMahan Jr. “We have the ability to collaboratively impact the economics of Flint. One of Kettering’s four “strategic pillars” in its mission statement is community vitality, economic and otherwise, said McMahan. Pursuing that mission, Kettering has over the past five years purchased more than 250 properties around the university, removing blight, redeveloping houses, spawning small businesses — Jimmy John’s, Einstein Bros. Bagels — and spending nearly $5 million on the rejuvenation of Atwood Stadium, he said. Kettering also plans to spend nearly $10 million in redeveloping the old Chevy in The Hole site, building a low-speed road course this year and developing a research garage and lab facility on the site to test automotive technology. 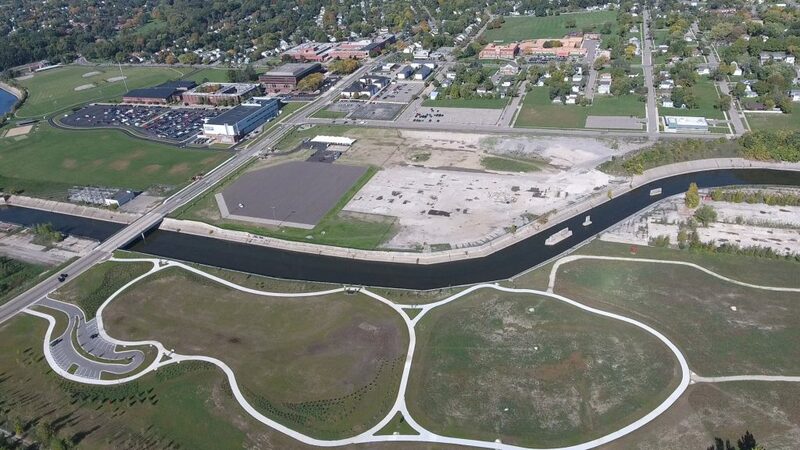 To help pay for the redevelopment, Kettering has received nine National Science Foundation (NSF) grants from the Major Research Instrumentation Program, the third highest number in the nation and the highest in Michigan. One was for the installation of a university-owned and operated 4GLTE Advanced wireless cellular infrastructure at the site. 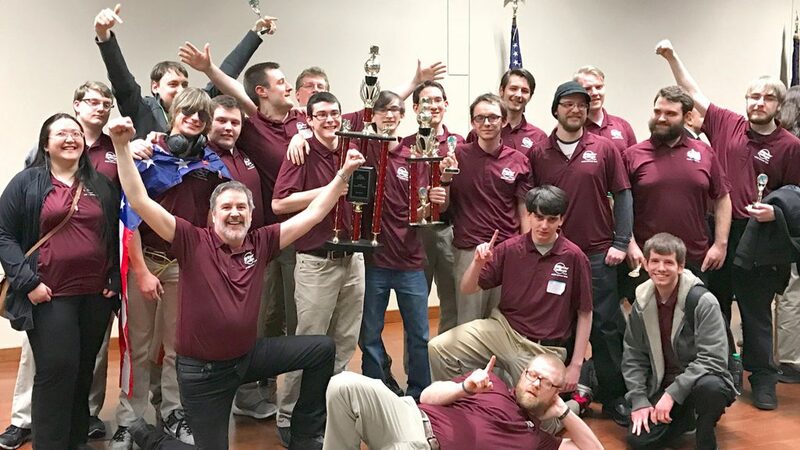 Kettering also created a FIRST (For Inspiration and Recognition of Science and Technology) robotic center on campus to allow high school teams to work all year to build robots and be mentored by college students and others. And in the past few years, Kettering has spun out about 35 companies into the local community and into Michigan, many of them student-run, he said. Now it is raising funds for a 120,000- square-foot Learning Center on campus. Why all of this investment and engagement? “I believe very strongly in the fact that a university has to be an active, engaged partner, and I also believe that the professions that we teach here have an obligation of professional service,” McMahan said. “We try to model it as an institution in how we engage the community in what we do. This August, Baker College moved from the quarter system to a semester format to better align with area high schools and other colleges and universities, making it easier for students to transfer credits from one institution to another. The move was made in collaboration with its advisory boards, which are made up of the very employers that hire its graduates. The boards meet at least annually to go over emerging trends and address any skills gaps through customized training of emerging technologies. “In this way, we ensure our student learning outcomes match employer needs,” said Wen Hemingway, President of Baker of Flint. “We believe that a trained workforce is a competitive advantage for this county, and we continue to play a crucial role in ensuring that trained workforce. 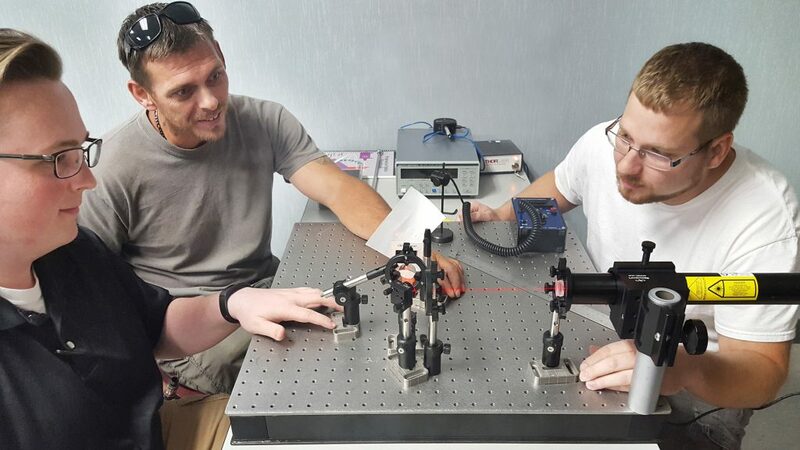 Toward that end, Baker College in July was awarded a second NSF grant — this time for nearly $512,000 — to advance photonics and laser education in Michigan. The first NSF grant of $200,000 in 2013 helped establish a two-year photonics and laser technology program at the Flint Township campus to help meet the dire need for trained photonics technicians by employers in southeast Michigan. A national study found that employers require 800 new photonics technicians every year, yet two-year programs produced fewer than 300 qualified graduates annually. Some of the new course modules will be focused on emerging areas, such as autonomous driving, integrated photonics and high-power lasers in manufacturing. Providing training for a Class B CDL driver’s license during the Flint water crisis. Truck driver evaluation training for a utility company. Welder training for a large local manufacturer and food company. Blueprint reading, shop math and CNC training for manufacturing companies. Buying robot arms and other equipment to support its growing manufacturing and engineering programs. New lab equipment to keep pace with changes in the medical industry. Redesigning cyber defense labs to train students in a real-world setting. Redesigning its student center and academic resource center for team and individual study for use by both the students and the community. Mott Community College’s role as an economic driver in the region stems from its ability to promote economic stability through education and workforce development, said MCC President, Dr. Beverly Walker-Griffea. Mott, like Baker, also works directly with employers to help them find students that have the skills they need or by customizing corporate training to build the skills of their existing workforce. Robert Matthews, MCC’s Associate Vice President, Workforce & Economic Development, cited the example of it working to help painters in the state gain the training needed to be able to bid on the Mackinac Bridge painting project. The college’s Culinary Arts Institute is another example of a multi-pronged economic driver, he said. MCC recently announced plans to move the institute to a vacant building at 550 S. Saginaw St. in downtown Flint. In addition to a new facility, the move will give students the skills to work in the profession and generate revenue by offering dining to the public. 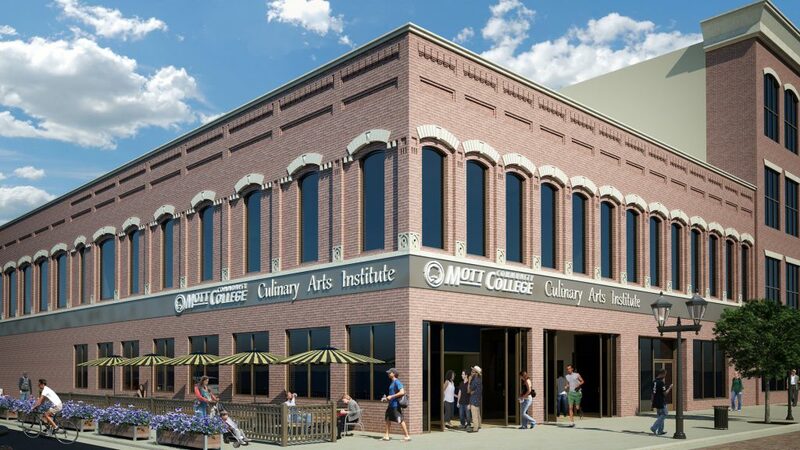 “We believe that relocating our culinary arts program to the heart of downtown Flint will have a positive impact not only on our students, but on the local economy as well,” said Walker-Griffea, during the announcement. Meanwhile, the college’s “Fab Lab” also impacts the local economy in a number of ways. Up until its opening in 2011, “there really wasn’t any place for an individual who had an idea in their head or on the back of a napkin to actually create a working prototype for a particular idea,” said Thomas Crampton, Executive Dean, Regional Technology Initiatives. People needed a place to access high-end software to create 3-D digital models for their product idea or a place to create a mockup of their finished product. He described the process and success through the example of Sue Kellogg of Traverse City. She had heard of the Mott program and came down to get help developing a better teether for infants and toddlers. She had done research beforehand and knew what she wanted, he said. The Fab Lab created a 3-D model of her idea, called a Nawgum, and she has marketed it nationally with great success, he said. Now she wants the lab’s help to make the next-generation model. Mott also has some big ideas for the future. It is looking at developing a family life center that would be on or adjacent to the main campus and offer the college’s early childhood programs in addition to nonacademic supports for its students, such as expanded child care. It would employ students, and offer social services and other supports. The center would be open to all students, Matthews said. “We are hoping to accelerate the time when the family would become self-sufficient,” he said. The college is embarking on a fundraising campaign. Last February, UM-Flint Chancellor Dr. Susan E. Borrego, in her State of the University Address, highlighted the transformational influence of higher education on the broader community. Noting the university’s impact in public health and healthcare arena, Borrego cited the establishment of the new School of Nursing as the fifth school on UM-Flint’s campus. Moreover, public health is a paramount concern in the growth and ongoing revitalization of Flint & Genesee. UM-Flint’s footprint also expanded with the acquisition of the Riverfront Center, (from Uptown Reinvestment Corp., with support of the Charles Stewart Mott Foundation) and its purchase of the adjacent First Merit Bank North Tower. And plans are underway to add a third wing to the Murchie Science Building, a $39-million project. 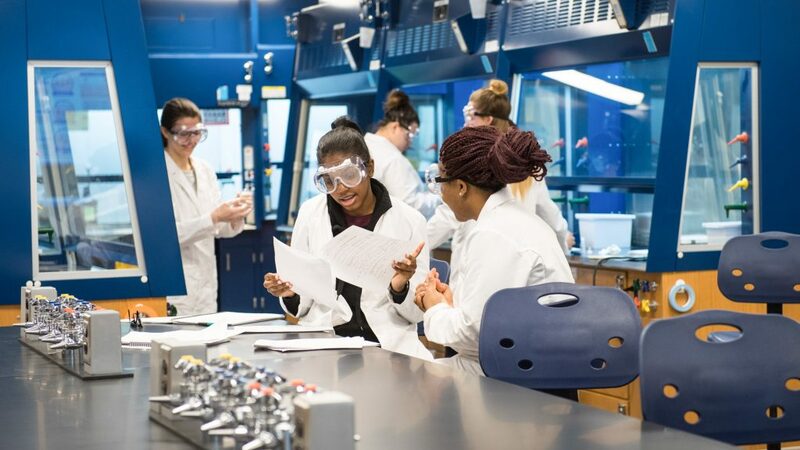 The expansion will provide more space for research, labs and classrooms at the university where STEM (science, technology, engineering and math) enrollment has grown 58 percent over the past decade. The establishment of the Hagerman Center for Entrepreneurship and Innovation in 2015 by Phil and Jocelyn Hagerman of the Hagerman Foundation. That was followed by the creation of the Hagerman-endowed professor of entrepreneurship and innovation in December 2016. The Hagerman Center held its first Summer Entrepreneurship Institute camp in July at which high school juniors and seniors spent three days learning about multiple aspects of entrepreneurship, business and marketing. Another major initiative is the receipt of a five-year, $400,000 grant from the U.S. Department of Commerce’s Economic Development Administration to start the UM-Flint EDA University Center for Community & Economic Development. Its mission is to work on economic development, community development and innovation and entrepreneurship in the seven-county region of Genesee, Shiawassee, Lapeer, St. Clair, Huron, Sanilac and Tuscola. The center recently launched a survey of businesses in the region to gauge their perceptions of the business climate to help policymakers understand how to best help those businesses, said Paula Nas, the Center’s Director. It also will do asset mapping in the seven counties, based on the Map Flint initiative, which allows community members and researchers to access a wide variety of data and create customized data maps of the area to help economic development partners understand shifts in population, income, growth, density and more. Students are involved, along with faculty members, broadening the students’ skills and employability. Key to the third leg of EDA’s mission — innovation and entrepreneurship — is the school’s Innovation Incubator in the Northbank Center, which is available to students and the community. The incubator’s services include technical assistance and business workshops. Elsewhere, UM-Flint is working with Kettering to create a safe, walkable University Avenue corridor with the help of a $1-million federal grant to Kettering University. The grant was awarded for a plan to connect 16 law enforcement and security organizations, including UM-Flint’s Department of Public Safety, to university researchers, local nonprofits, and residents in a comprehensive effort to raise standards of living.